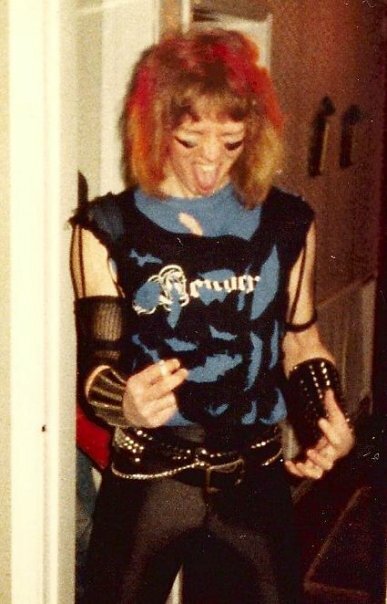 Send us photos of how great/daft you looked in your rock’n’roll heyday! All the Rock Candy Mag team are on here! 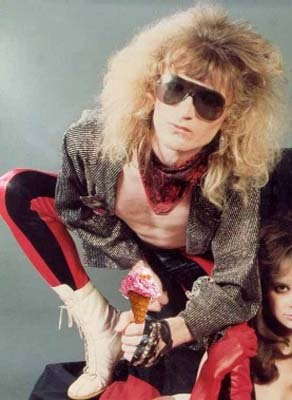 Gateshead rocker Mark Gregory looking splendidly rock’n’roll in 1985. It’s a strong look Mark! 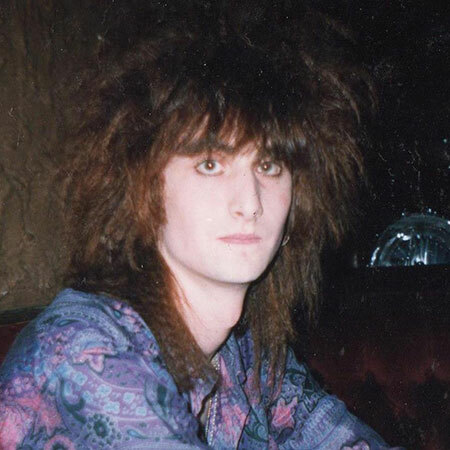 Rock Candy Mag reader John Dryland in the later ‘80s when he was thwacking the bass in Sin City Killers and enjoying the fine art of crimping! Rock Candy Mag reader Simon ‘Booba’ Gauci used to play footy with Editor HoJo years back. But not in those shades! 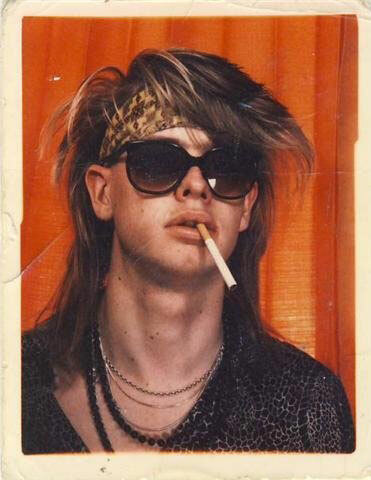 Rock Candy Mag reader Tim McMillan from around 1988 “when smoking is still cool”. The orange photobooth curtains are cooler, Tim! 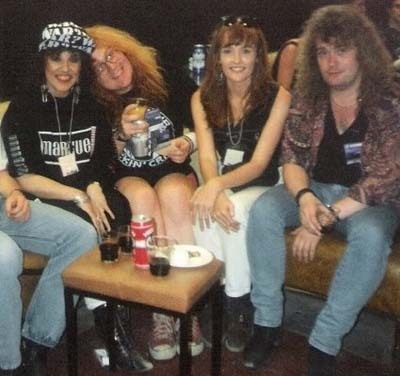 Rock Candy Mag Mag’s Dave Reynolds - ‘Wiggy’ Reynolds was Kerrang!’s glam metal specialist. Can’t imagine why. Any ideas about the ice cream cone? No, neither have we! Rock Candy Mag’s Derek Oliver and Howard Johnson - Would you trust these two fools to run a magazine? 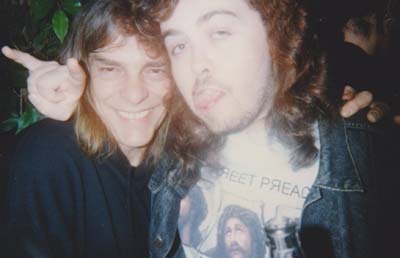 Rock Candy Mag’s Jason Arnopp - Our crossword compiler and horns-flashing expert with sadly departed Motörhead guitarist Wurzel. 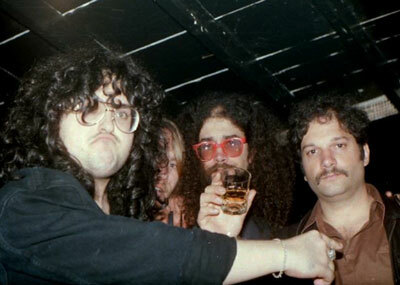 Rock Candy Mag’s Jerry Ewing - Jerry is on the right with a lovely perm. 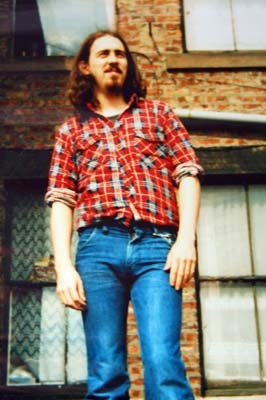 Rock Candy Mag’s John Nicholson - John was rocking the grunge look in the ‘70s. Nice curtains behind by the way! 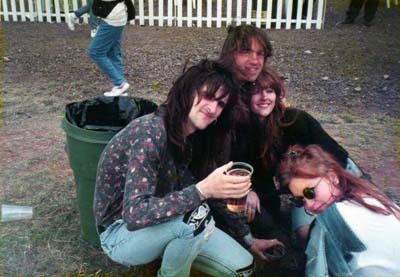 Rock Candy Mag’s Paul Suter - Kerrang’s Maple leaf Mayhem specialist with a very scared-looking Lee Aaron. Rock Candy Mag’s Paul ‘Gooner’ Elliott - A man in a white tee with silly sideburns pretending he can sing. 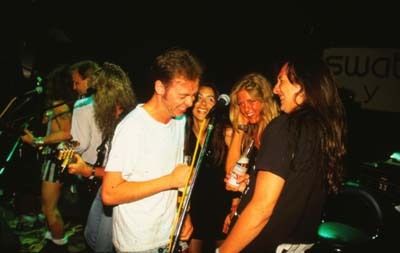 Onstage with FM in Malta, 1992. 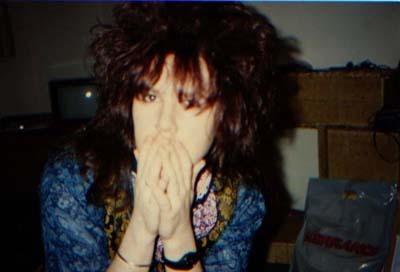 Rock Candy Mag’s Andy Hunns - Art Director Andy wishing he was in The Quireboys. Rock Candy Mag’s Philip Wilding - Back-combing, sir? 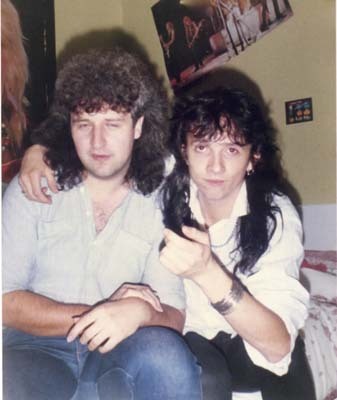 Rock Candy Mag’s Steffan Chirazi - Steffan (on the left) points something out to an extra from a ‘70s cop show. FNM’s Jim Martin looks bemused. 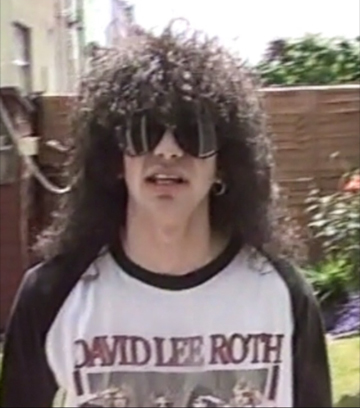 Rock Candy Mag’s Ross Sampson - Our web guru had a well-dodgy ‘tache in the ‘80s when he ran Kerrang!’s metal phone lines.